Cash back. 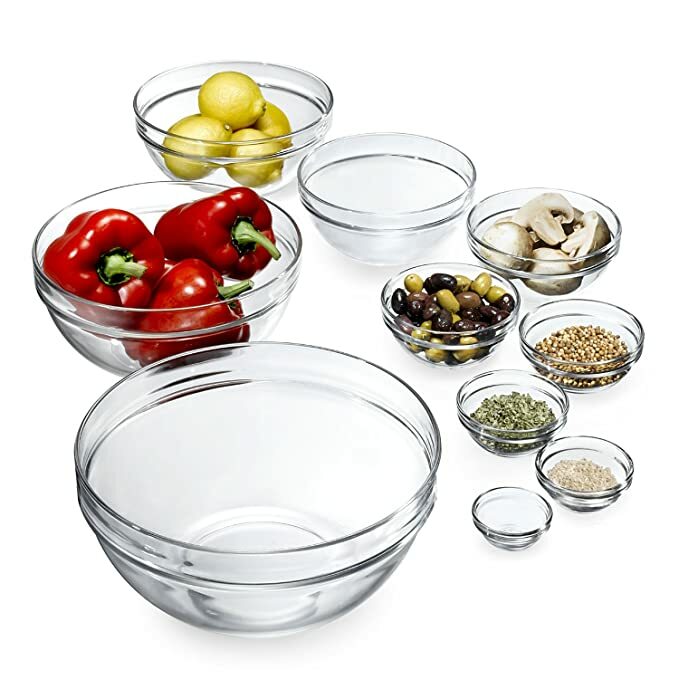 Purchase this Pyrex set and follow the instructions on the rebate form to get a $10 rebate. Offer valid on purchases made January 31 - May 31, 2010. * Adaptable design stores in the refrigerator or freezer and heats in the microwave or oven. * Seven bowls and coordinating lids protect all your favorite foods. * Durable, tempered glass construction resists food odors, flavors and stains. Walmart.com 现在这套 Pyrex Easy Grab 6-Piece Glass Bakeware and Food Storage Set 打折后 for only $12.92! choose free Walmart in-store pickup if available near you. 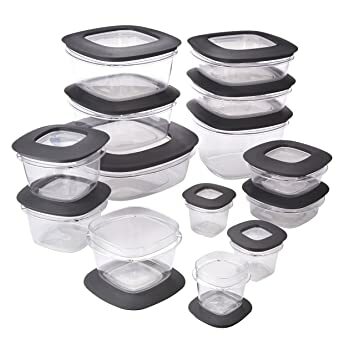 Target.com 现在这套 Pyrex 10 Piece Storage Set with Lids 降价后 for just $11.51! Free in-store pickup. This set is made of nonporous glass that won’t warp, absorb odors, or stain and is safe to use in oven, microwave, freezer, dishwasher and refrigerator! 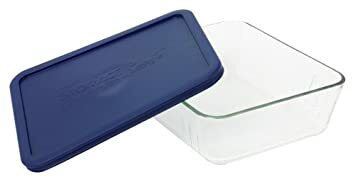 Walmart.com now you can get this Pyrex Easy Grab 28-Piece Bake and Store Set for just $33.68. Even better, choose to pick this item up at your local Walmart store and you’ll save an additional $1.89 dropping the price down to $31.79 (regularly $59.99). Amazon.com now get this Rubbermaid Modular Food Storage Canister Set for only $15.97 (regularly $22.76). 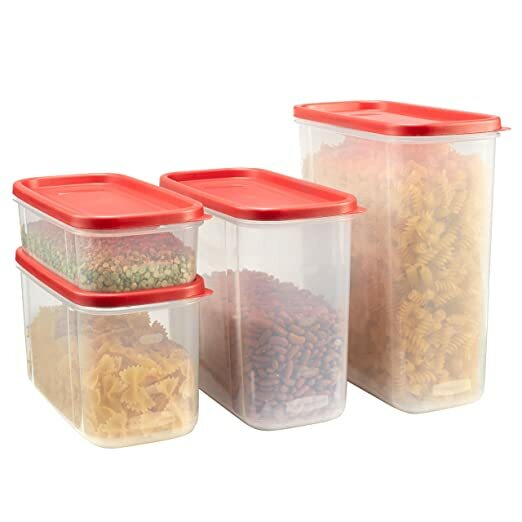 This set includes four BPA free containers with lids perfect for storing cereal, flour, sugar or even leftovers! 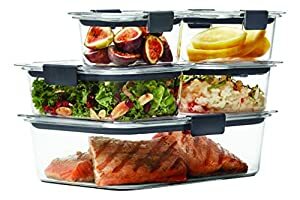 Amazon.com now you can get this very highly rated Glasslock 18-Piece Assorted Oven Safe Container Set for just $25.99 shipped. This 18-piece set includes nine containers and nine lids. 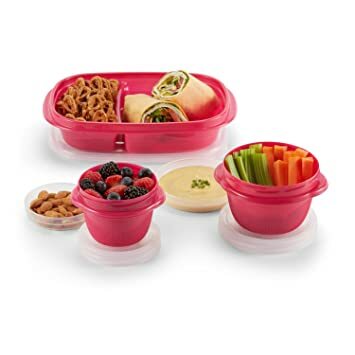 These BPA-free containers are oven-safe, microwavable, airtight and leak-proof. Perfect for storing all those yummy holiday leftovers! Amazon now get this highly rated Prepworks by Progressive 6-Piece ProKeeper Set for just $35.99 shipped (regularly $59.99). This set includes one of each Flour, Granulated Sugar, Brown Sugar, Powdered Sugar Keepers and 2 Mini Keepers. Each keeper in this set has stainless steel hinges that swing wide open for no-fuss access to fill or measure and an easy-catch latch that holds the lid tightly closed. Plus, they all fit into the dishwasher for easy care. Amazon.com now you can get this highly rated OXO Good Grips 10-Piece Airtight Food Storage POP Container Value Set for $69.99 shipped (regularly $99.99) – best price! This set includes one 4qt Container, one 2.5qt Container, one 2.4qt Container, one 2.1qt Container, two 0.9qt Containers, two 0.5qt Containers and two 0.3qt Containers. Just push the button for an airtight seal and push again to release; and the button pops up to double as a built-in handle. 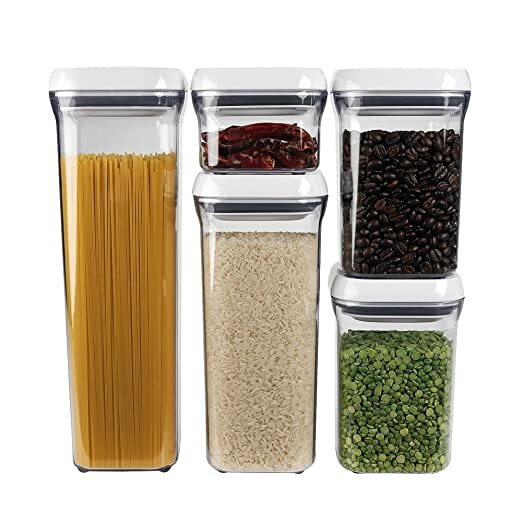 Macys.com now you can get this Pyrex 4-Piece Striped Storage Set for just $5.59 (regularly $12.99), after using promo code JOY (20% off) . This set includes two 4-cup glass containers with BPA-free plastic lids. 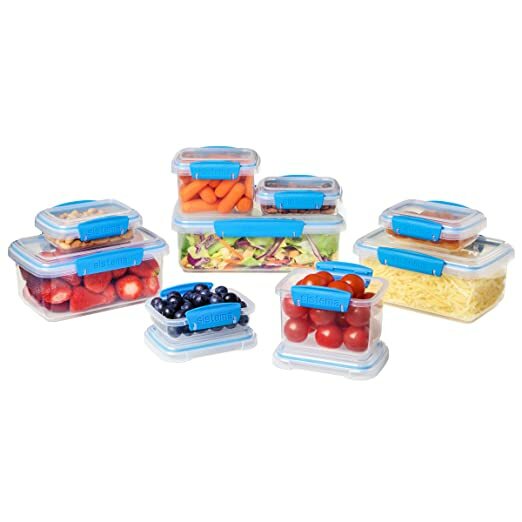 The containers are oven, microwave, refrigerator and dishwasher-safe, and all pieces are resistant to stains and odors. 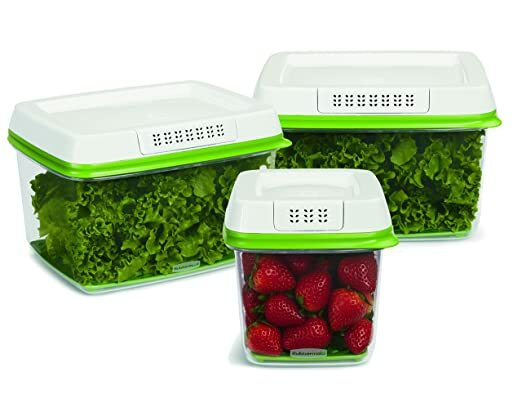 On Amazon.com, you can now buy this highly rated Rubbermaid FreshWorks Produce Saver Food Storage 3-Piece Containers Set for just $17.26 (regularly $26.99)! This 3-piece set includes one medium 6.3-cup container and two large 17.3-cup containers as well as corresponding lids. This set has FreshVent technology which is supposed to create an optimal environment for fruits and vegetables by regulating the flow of oxygen and carbon dioxide in and out of the produce container and the CrispTray helps keep moisture away from produce to reduce spoilage. On Amazon.com you can now get this Rubbermaid TakeAlongs 10-Day Meal Prep 30-Piece Set for just $13.67 (regularly $19.99). This 30-piece set includes divided meal prep containers for over a week’s worth of meals. They are great not only for meal prep but also for portion control, packing lunches, snacks and even for storage! The entire set is microwave, freezer and top-rack dishwasher safe. 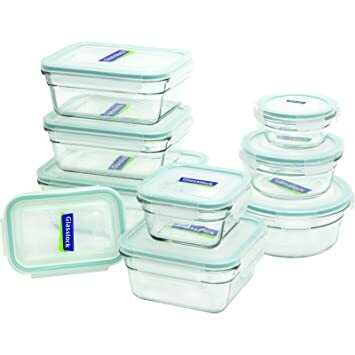 Amazon.com now you can get this Rubbermaid Premier Food Storage Containers 28-Piece Set for only $24.31 shipped (regularly $35.99). This 28-Piece Set includes three 0.5 cup, two 1.25 cup, three 2 cup, three 3 cup, two 5 cup, one 7 cup, and one 9 cup containers with lids. You’ll have plenty of containers for all of the delicious Thanksgiving leftovers. Amazon.com Rubbermaid Brilliance Food Storage Container 10-Piece Set, 100% Leak-Proof, Plastic, now on sale for only $12.49 (regularly $19.99). This 10-piece set includes two 1.3 cups with lids, two 3.2 cups with lids and one 9.6 cup with lid. They are BPA-free and safe for the dishwasher and freezer, and include a full lifetime warranty. On Walmart.com you can now buy this Pyrex 22-piece Portable Bake n’ Store Set for just $14 (regularly $24.42) after you delect for free in-store pickup (only select locations will see this low price). Use this set to bake, serve and store food right in the same dish and when it’s time for that pot-luck, the included hot/cold insert and insulated carrier make transporting your culinary masterpieces easy. Plus, all glass pieces are oven, fridge, freezer and microwave safe AND come with a 2-year warranty! 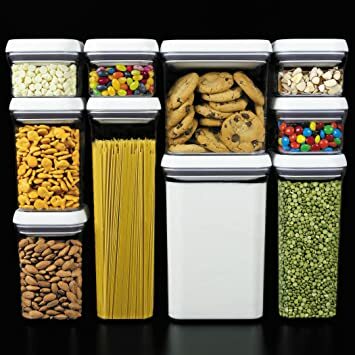 On Amazon.com where you can get this 18-Piece Sistema Food Storage Containers for just $16.99 (regularly $19.99) – lowest price! 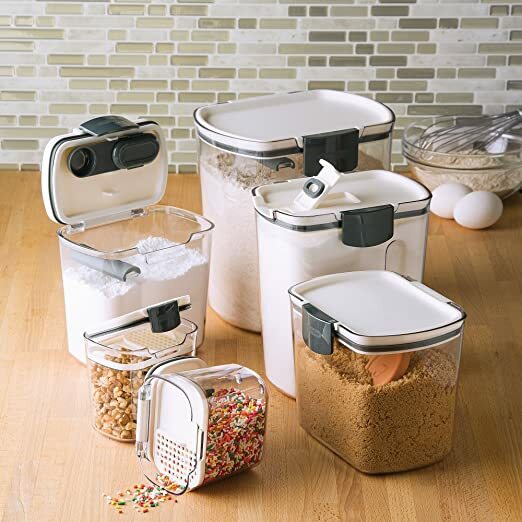 On Amazon.com where you can now get this highly rated OXO Good Grips 5-Piece Airtight Food Storage POP Container Value Set for just $34.99 shipped (regularly $49.99) – BEST PRICE! This set includes one 2.1-quart container, one 1.5-quart container, two 0.9-quart containers and one 0.3-quart container! These containers feature a button on the top of the lid that gives an airtight seal (button also pops up to double as a built-in handle). On Amazon.com where you can now buy this Luminarc 10-Piece Stackable Bowl Set for just $15.87 (regularly $37.99). Through June 4th, on Macys.com you can now save 50% or more on select Pyrex items. No promo code is needed as the prices shown reflect the discount. 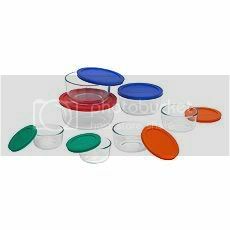 These sets include three glass dishes and three red plastic lids. The dishes are all dishwasher, microwave, and preheated oven safe. They’re also made from non-porous glass that won’t absorb food flavors, odors, or stains. On Macy’s.com where you can get some select Small Kitchen Appliances for just $19.99 (regularly $29.99+) including Pyrex, Martha Stewart, Tools of the Trade, Bella and more! Even better, through July 15th, these items qualify for a $10 Mail-in Rebate. After factoring in the rebate, it's like these appliances for just $9.99! In addition, through July 10th, all orders ship for free!